Posted September 21, 2009 in Captain America, Chris Weston. 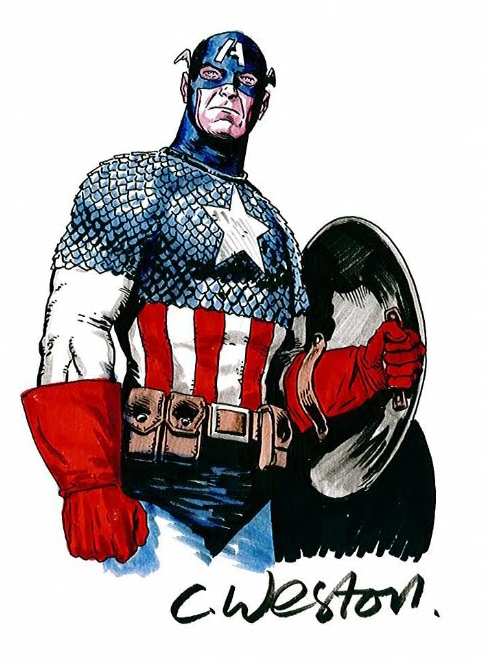 Captain America convention sketch by British illustrator Chris Weston. Chris came to prominence in the late 80’s with story Killing Time for stalwart British weekly 2000 A.D. His extensive comic-book credits include Swamp Thing, The Invisibles, The Filth, Ministry of Space and The Twelve. Chris has recently provided concept and storyboard art for the latest Denzil Washington movie: The Book of Eli.